i found this figure in the basement today and dicided to paint it up so can you tell me what you think and what kind of figure this is. wow, that model looks great, especially for being in a basement for such a long time :P . It looks like a space marine sarge to me. thanks. i found him today and painted him up. he needed to be washed though. i have no idea where he came from. Yeah, it&#39;s a librarian, that&#39;s a force weapon he has. This must be an older one. The pose is rather static and made to be rather solid and easily cast in a mold. It&#39;s also lacking the psychic hood that pretty much all the new ones have. HAve to go digging through the archives but I&#39;d say this one probably was phased out early in third or during second edition. Oh, and you can laso see where it was one of the old packs with the banner pole molded into it. It&#39;s broken off but I&#39;m pretty sure about that. yeah i brought it up and showed it to my bro who dropped it. i have the pole but im workin on it now for a sq leadr. 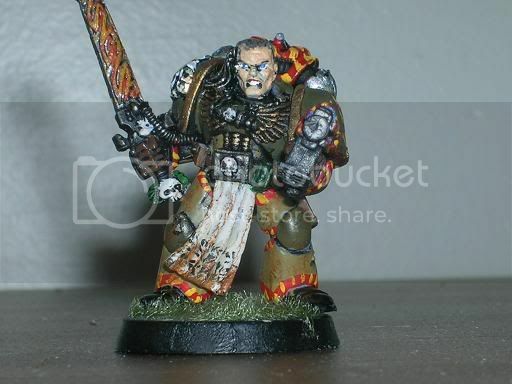 that model is not old you can still buy it It was my first librarian. Thats actually a 3rd ed librarian model. And FYI, none of the 3rd ed models had psychic hoods. None. Despite being part of the wargear list, no-one used them in 3rd anyway. They&#39;ve only recently become popular because of certain conversions going around the net and the new UM librarian model (Tigeruis sp?). 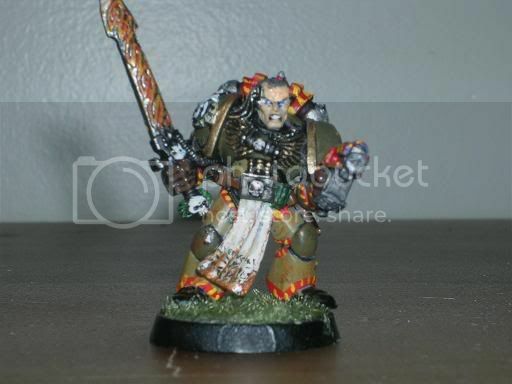 Personally, the old librarian models were pretty bad anyway. 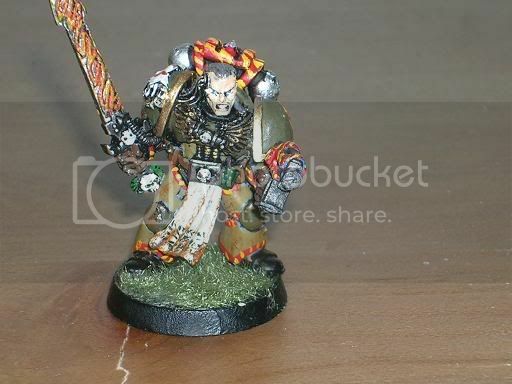 As were all the chaplain models, commander models. Basically, anything 3rd ed and metal was fairly below today&#39;s standards.